Party DISCOTECĂ #5 IWD edition! Go party like a local in Bucharest with DISCOTECĂ #5 and discover sounds made in Romania. 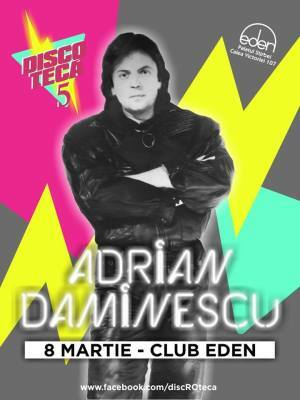 Special guest Adrian Daminescu, a Romanian pop-star of the 90’s. "DISCOTECĂ #5 IWD edition!" Party in Bucharest. You can get here description, reviews, address, time and details of "DISCOTECĂ #5 IWD edition!" Party in Bucharest. Visit Bucharest Tips for more Party events in Bucharest!